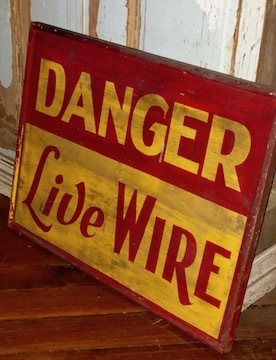 Vintage handpainted Danger Live Wire Sign. 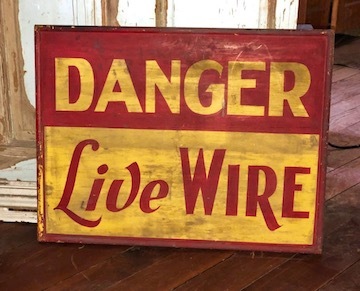 Double sided wooden sign in great condition. Would make a great addition to your collection. Measures 24 1/2" W x 19 1/2"H x 1" T.